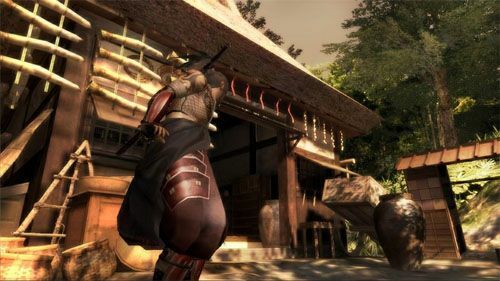 Tenchu Z transforms gamers into an elite Ninja assassin that is set during the fascinating era of Feudal Japan where gamers must engage in a variety of stealth based missions in order to successfully complete the title and prevent a dark evil from sweeping these ancient lands. 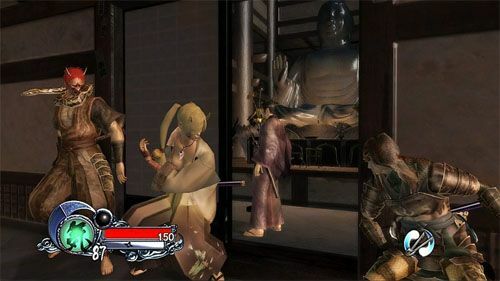 In its essence, Tenchu is a third person adventure game where the gamer must use their guile, stealth and deadly combat in order to engage in the gaming environment. Starting off in the Ninja Village, players can purchase a variety of items and weaponry in order to ensure that they have all the tricks of the trade before attempting a mission. An average mission involves the player sneaking into a village and assassinating one of the major characters in the game, however you need to get past a plethora of henchmen first. The best way to dispose of these guards is sneak up behind them and then use one of your deadly arts in order to dispatch them. Needless to say, a definitely enjoyable and sometimes frustrating experience. Although you can complete the game like a character from an Arnold Schwarzenegger movie, the aim of the game is to be a ninja which means you need to use concealment and evasion. The problem with rushing into the game like an unbeatable action hero is that the guards can then alert other guards to your presence which does make things a tad difficulty. What really makes the game entertaining is the variety of ways in which you can attack your opponents such as sneaking up behind them or even from a hanging position which does increase the overall enjoyment of the title. Your character can also perform a variety of “Tekken” like martial art maneuvers, however what really puts a spanner in the works is the AI of your opponents which ranges from poor to good. For instance, you can virtually alert the entire village to your whereabouts, however after hiding in some bushes, the guards eventually forget about your character and continue with their usual business. 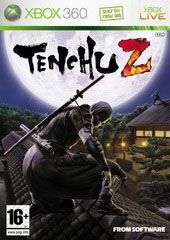 Tenchu Z features around 50 single-player missions which all leave you craving for more, even though you can’t save in-game which is truly a pet hate of my mine. Even though some missions become extremely frustrating, the enjoyment of the gameplay keeps bringing you back for more and more. Match that with some multiplayer options and you’ll be enjoying your stint as a Ninja for quite some time. 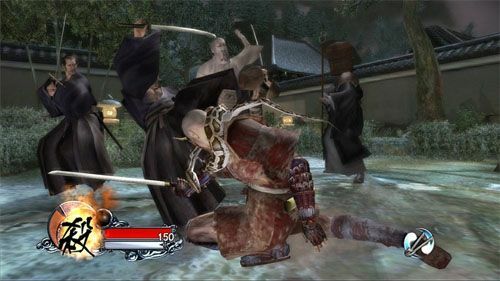 Graphically, Tenchu Z may not be the most graphical intensive game on the XBox 360 but does contain some impressive aspects such as the highly violent kill animations and the realistic characters that move with grace and realism. The backgrounds are a little dull and sometimes uninspired but it’s still an enjoyable romp through Feudal Japan. The sound effects and the musical score also suits the game and does assist in drawing the gamer into this entertaining game. In conclusion, Tenchu Z is a decent game on the XBox 360 that features sturdy yet sometimes repetitive gameplay which is unfortunately let down by the AI in the title, although most gamers will ignore this as the gameplay is too addictive. Good graphics and an entertaining soundtrack, Tenchu Z will bring out the Ninja in all gamers.